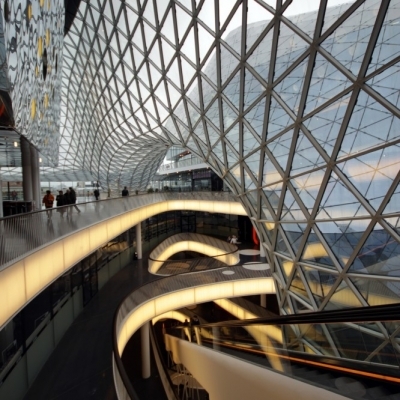 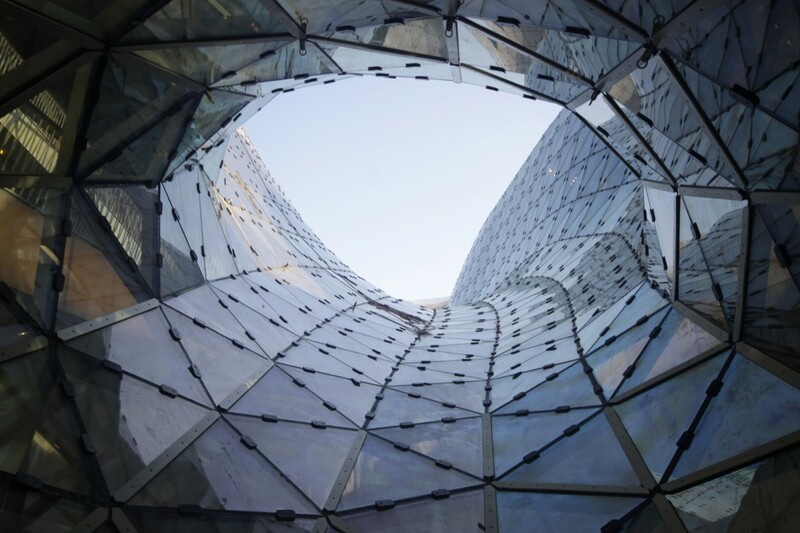 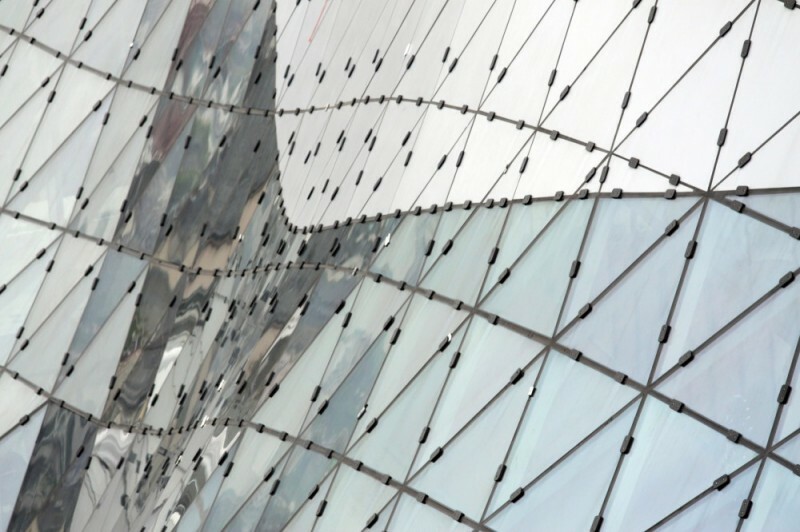 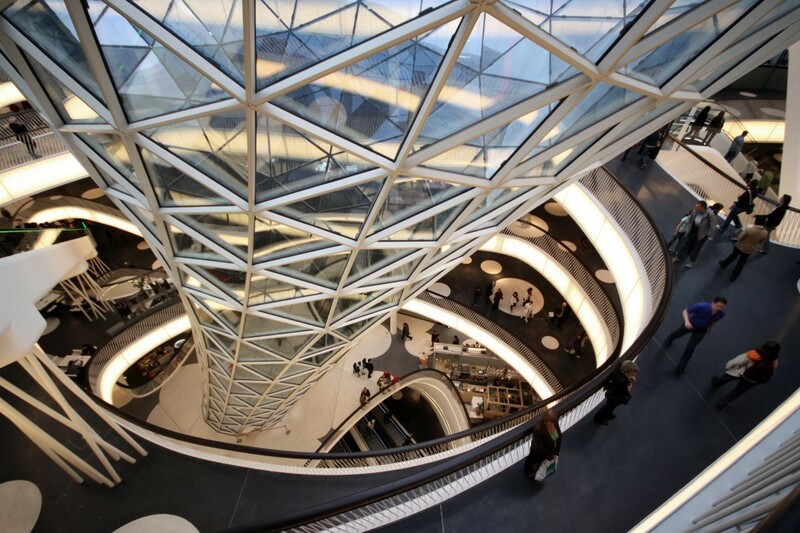 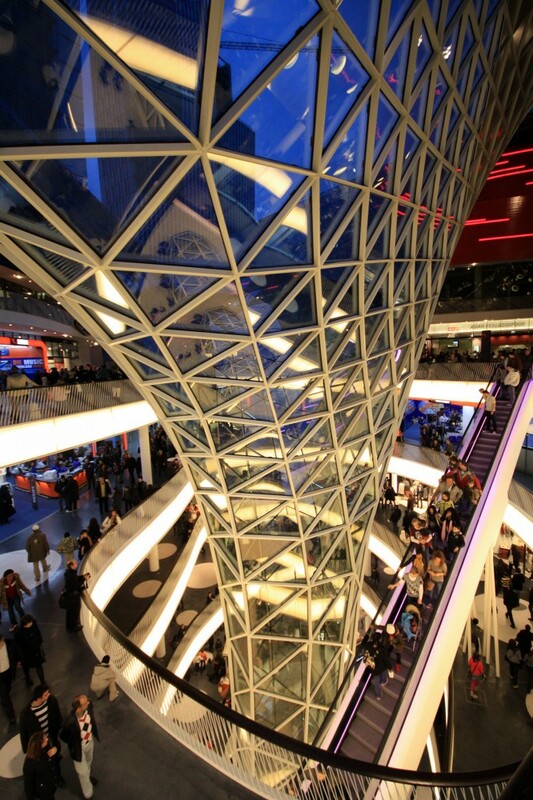 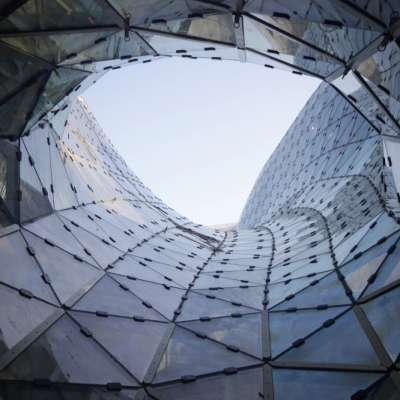 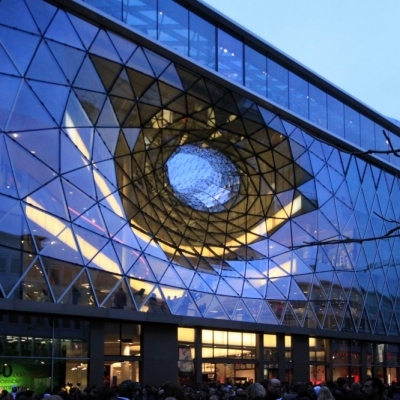 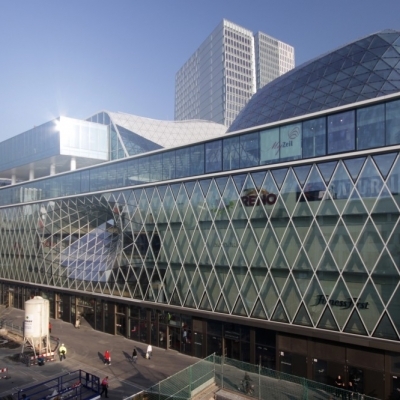 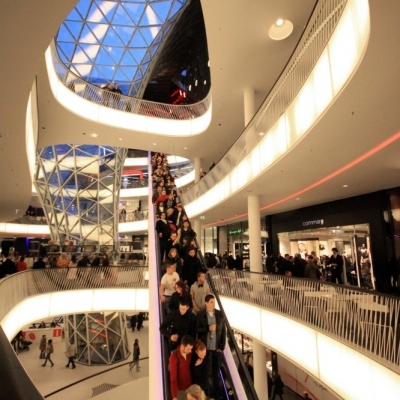 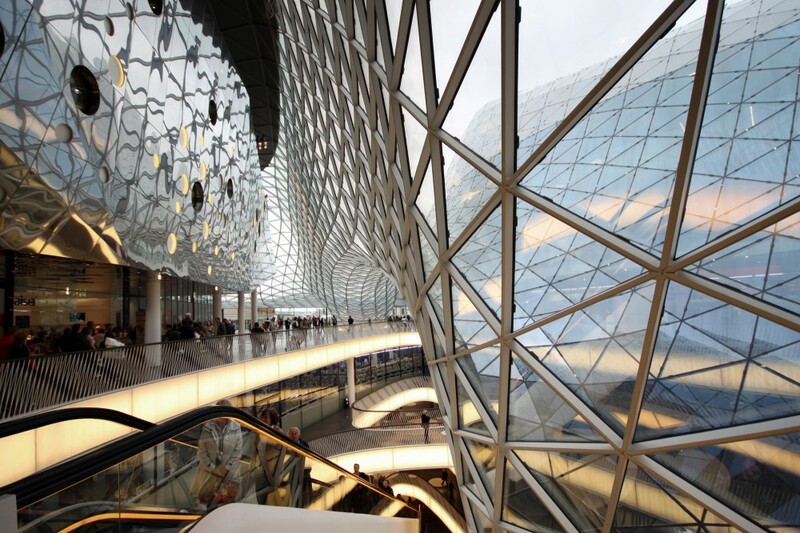 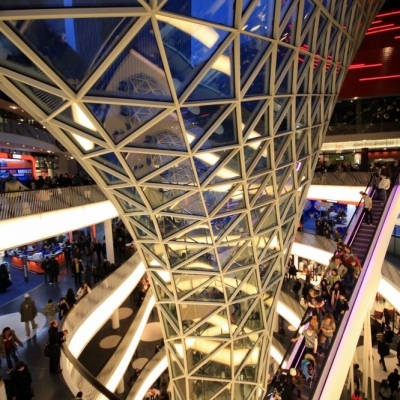 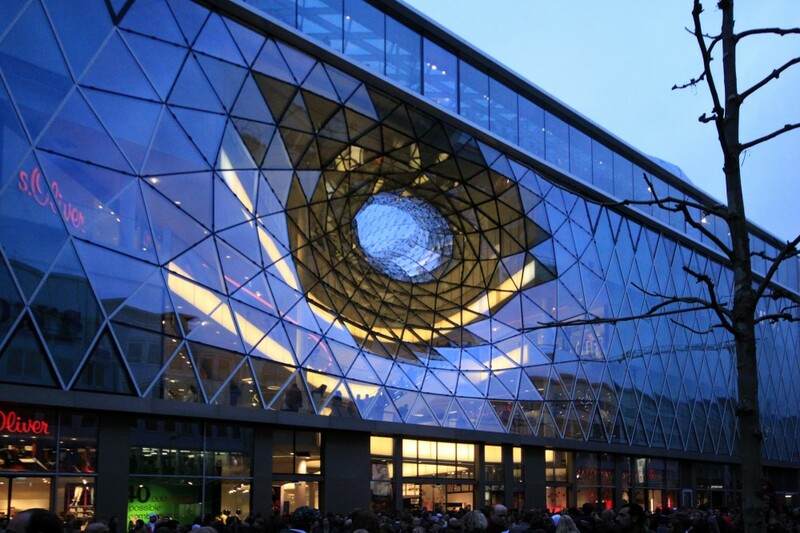 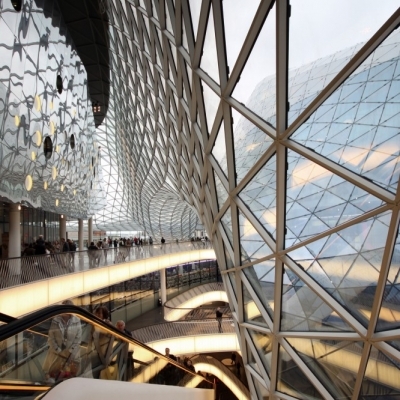 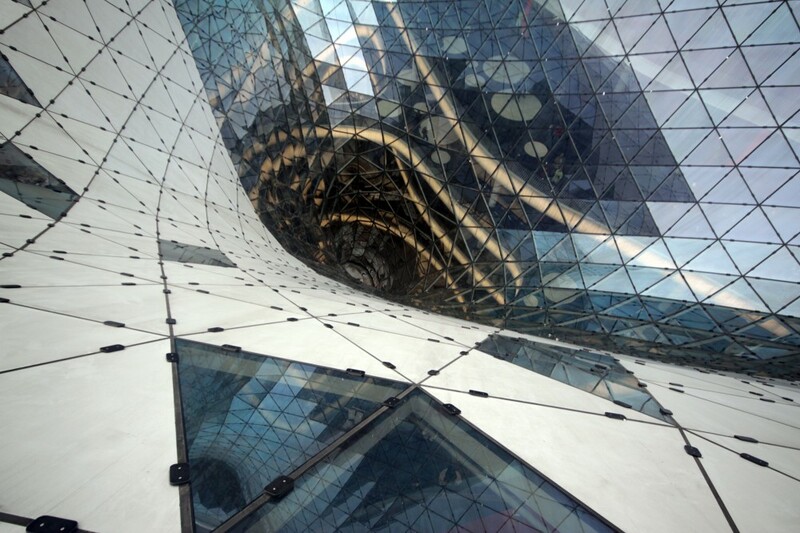 MyZeil Shopping Mall is a project designed by Studio Fuksas in Frankfurt, Germany in 2009. 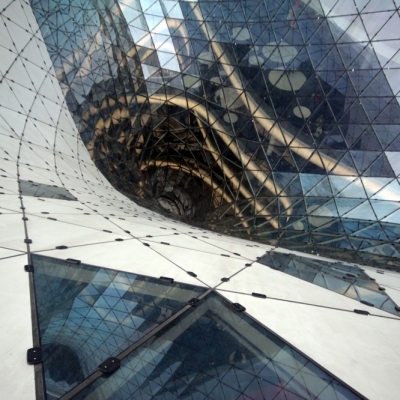 The sculptural glass facade creates impressive and dynamic spaces within the public atriums, creating a unique environment for a common activity. 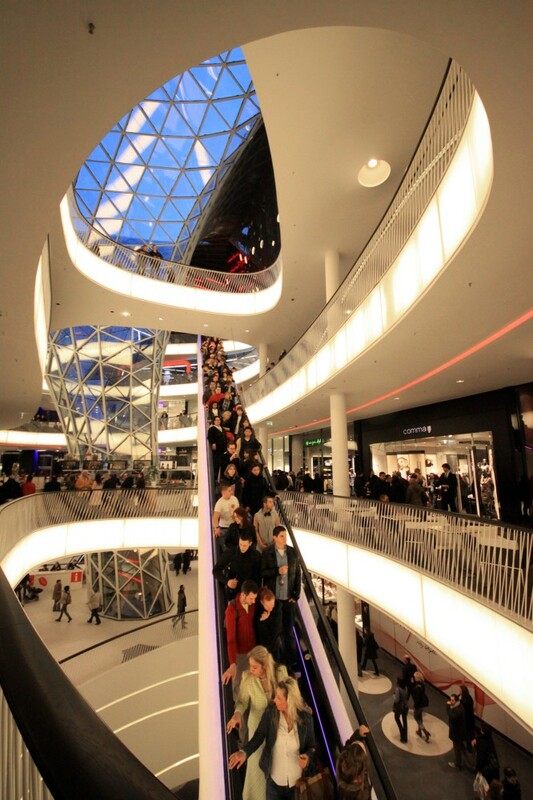 The 77,000 square meter structure includes shops, leisure spaces, kids areas, restaurants, fitness center and parking. 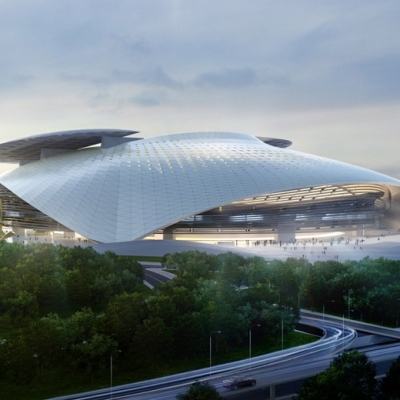 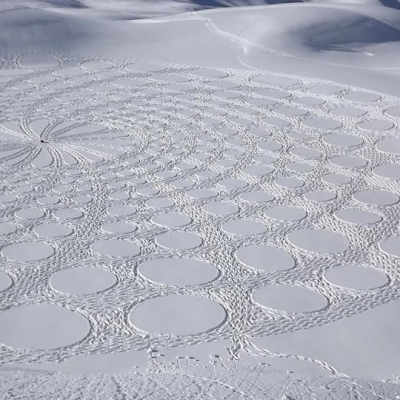 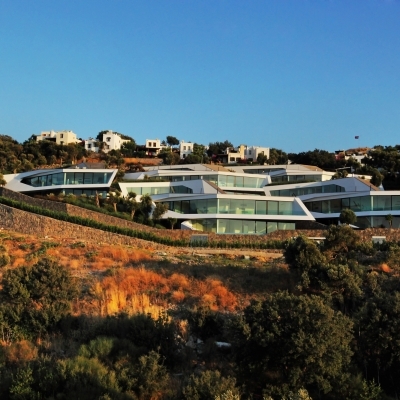 The design is inspired by geography and topography. 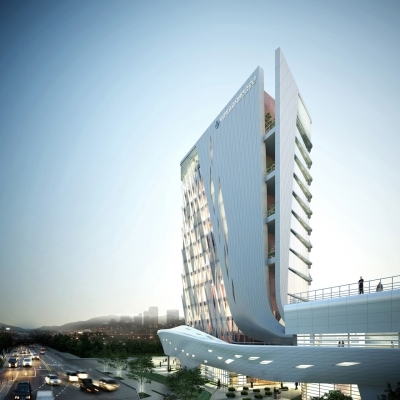 The facade is conceived as a river that has different depths reaching into the Earth. 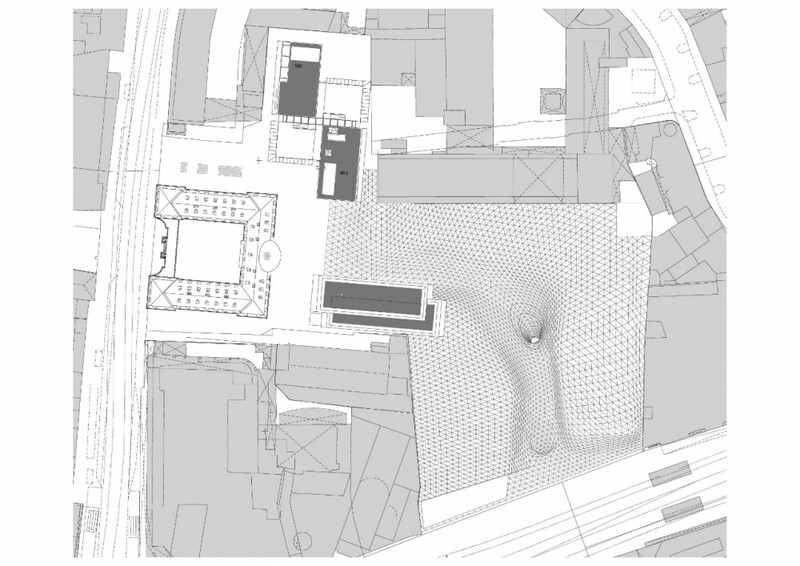 The structure is inspired by the historical context of the site. 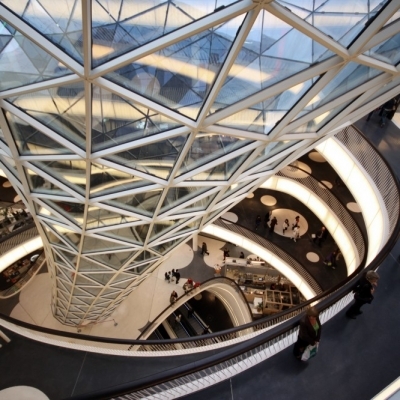 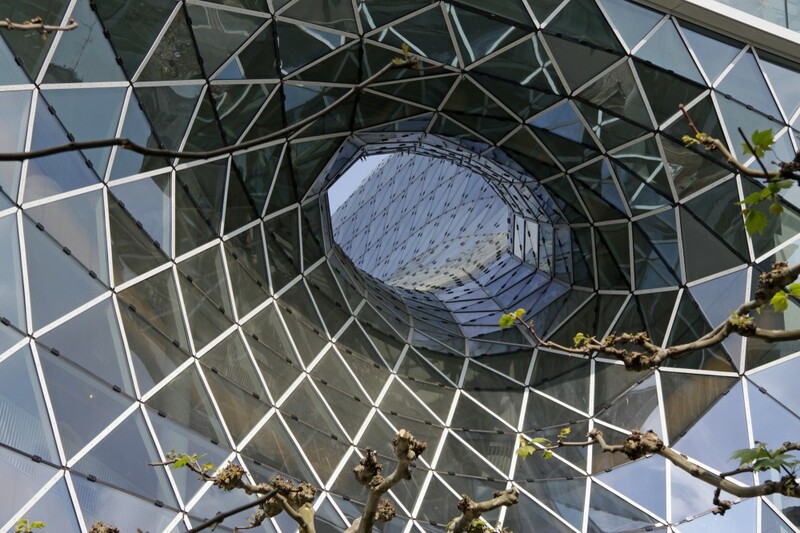 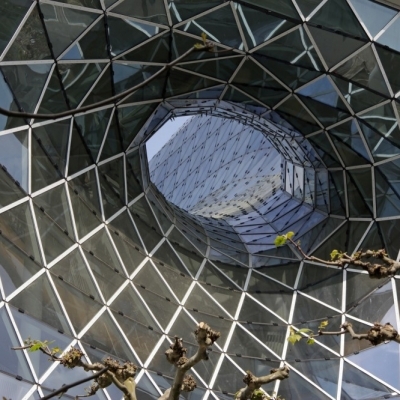 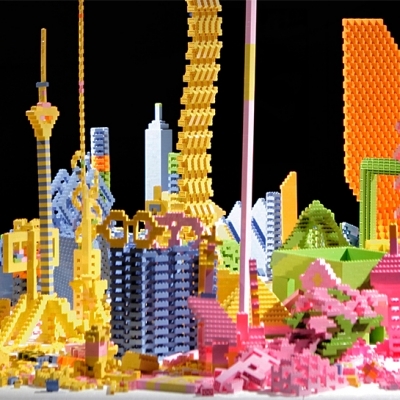 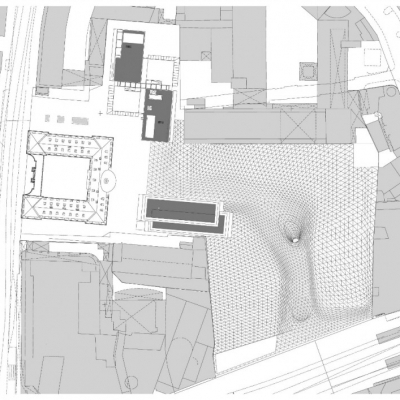 The fluid shape comes from the connection of the Zeil, the shopping boulevard in the heart of Frankfurt, and the Thurn and Taxis palace. 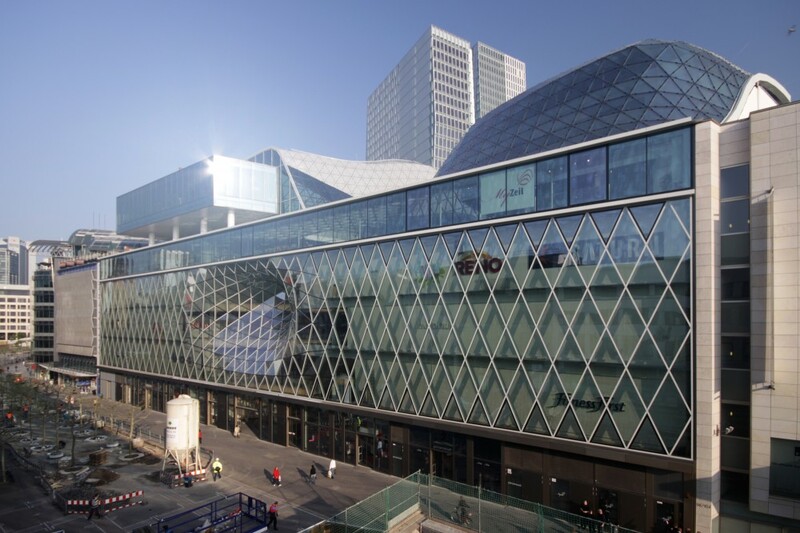 The two facades on opposite ends of the building are designed to evoke the two distinct senses of the city. 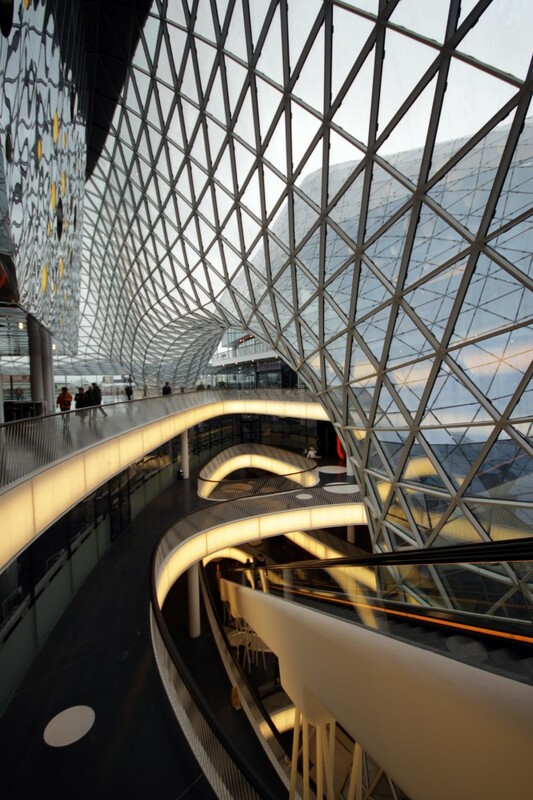 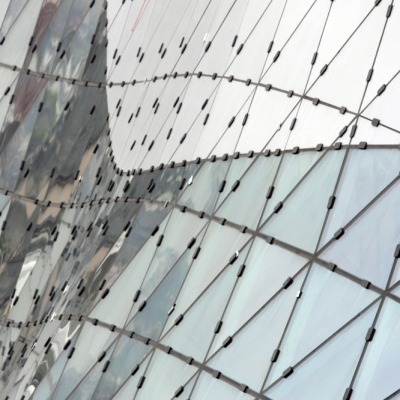 The modern city on the facade running along the Zeil expresses leisure, entertainment and relaxation.